In today’s modern era, smart phones are the most important part of every human’s. Your mobile phone device performs many things on your behalf, such as schedule messages, daily updates, and other stuff. Like everything in this world, need maintenance same your mobile device also need some maintenance. With time and usage the device tends to run slow, therefore it needs some attention. Your phone starts sending you some notifications like storage running full. It’s because your phone becomes overloaded with numerous files which results in delays in the opening app, changing settings or doing anything on your phone. It happens because of unwanted and unnecessary junk files that have occupied the maximum memory in your phone. In order to save your phone working slow, you need to download a good junk cleaning application that can clean your phone. The cleaner applications are the applications, which can free up the storage space by removing the residual files, junk and cache records, which slow down your Smartphone. It also boosts the phone and memory speed to optimize your system’s performance. Not every junk cleaner app available on Google play store is good, they contain lots of ads and viruses, which can damage your cell phone. To help you out in selecting the better app we have listed Best Android Cleaner Apps Of 2019. 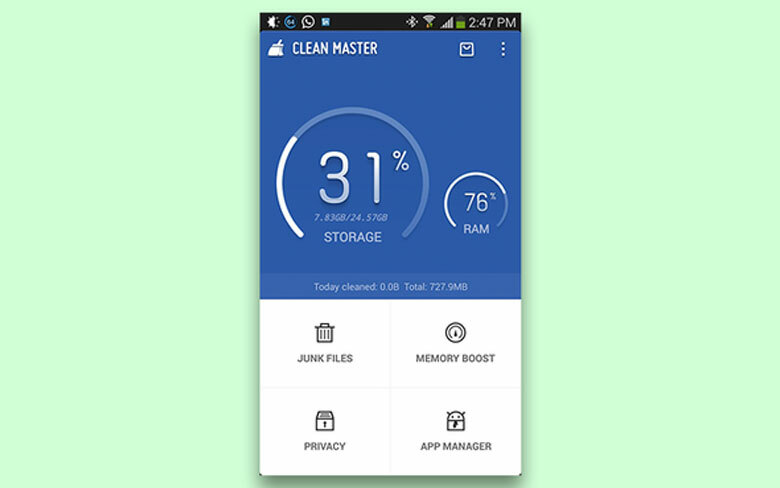 Clean Master is one of the best junk cleaning applications, which is proven asthe most effective junk cleaner that is easily available on play store. Over fivehundred million users have downloaded this application and they are using it to keep their phone safe from other viruses. The app does not only clean up junk files and cache,but it also scans for viruses on all apps that are already installed. It frees your mobile RAM, detects fake WI-FI and the best part is that, it saves the battery power. Clean Master also contains an exciting new feature named private photo that helps to keep your photos private. If you don’t want others to see your photos then this disappears the images from your default gallery and you can then only see those photos in this private photo application. 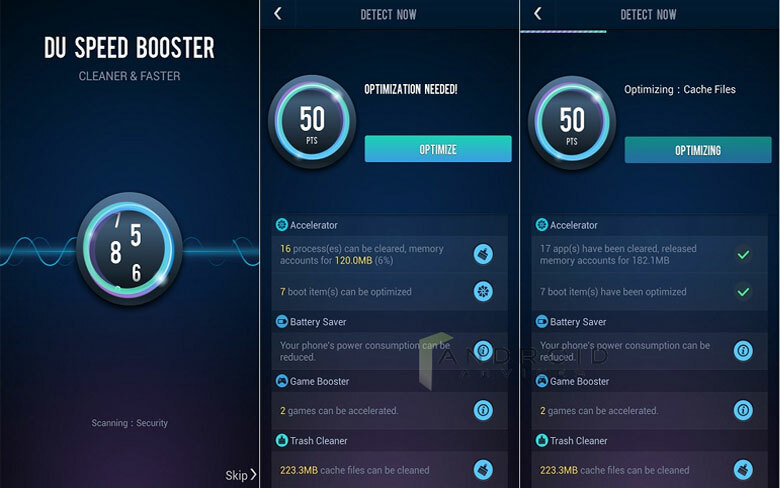 DU Speed Booster is another junk cleaning application, which is the commonly used application. It is considered as the trusted website that above 230 million users are already using and taking advantage from this flawless application. It features one tap boost system in which by pressing a button this app starts optimizing background apps, removes junk files and free ups memory. It also provides you an option to uninstall apps that are not frequently used. A feature called CPU cooler shows which apps are consuming more CPU power. After identifying the cause, you will be able to remove those apps, which are consuming more power and extra memory. 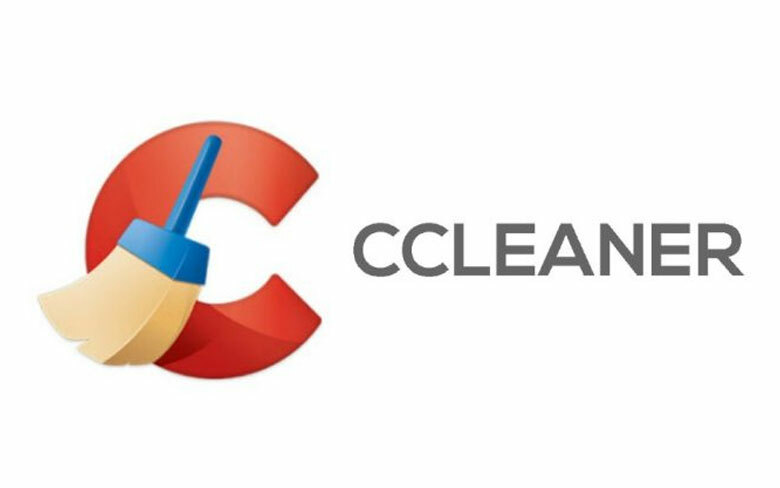 When it comes to clean mobile junk, the name of CCleaner is always on top of the list. It serves the same function that all other apps do like removing junk from the phone. However, it also cleans application cache, your phone’s browser history, and clipboard content to release clutter from your device. It’sideal feature helps to uninstall those apps, which are useless. It does not contain any extra ads and spam which can damage your device. It’s a user-friendly application and monitors internal storage space and RAM. 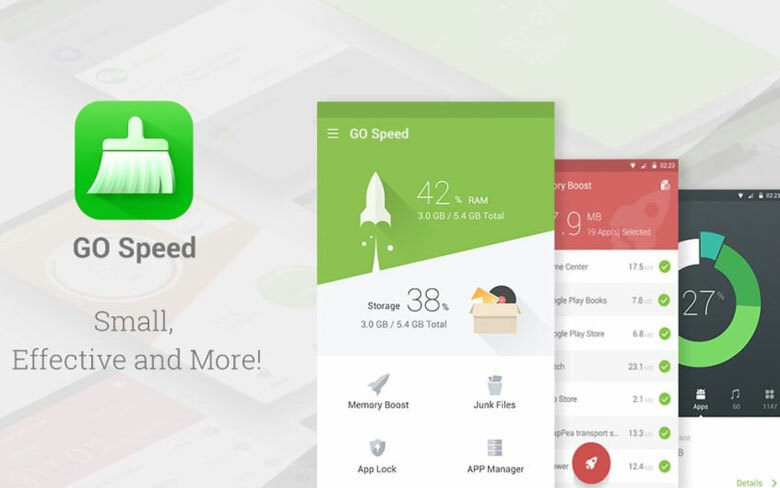 Go Speed is a lightweight Android junk cleaner app. It performs the same functions that all other junk cleaner app does but it’s more preferable because it takes less memory as compared to other cleaner applications. It’s designed with an advanced monitoring system which monitor your phone’s RAM and also keeps eye on the heavy applications that makes your phone slow. 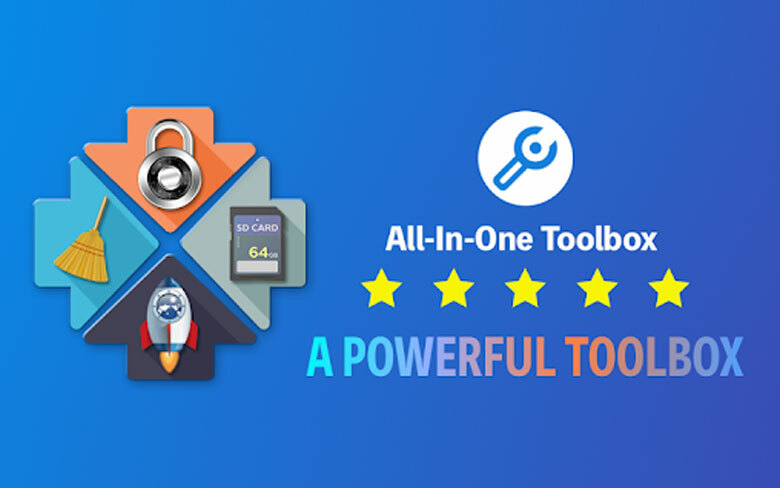 All-In-One Toolbox is an amazing app available on play store. It’s a multipurpose application for Android. It has many more features then only cleaning up access memory. The app contains an amazing feature called photo compressor, which reduces the space occupied by high-resolution pictures in your phone. Boot Speedup is a feature on this app, which lets you select that app that starts automatically when you restart your phone. Overall, this app has fastest features that keep your phone free from spam and other viruses that disturbs your mobile memory. 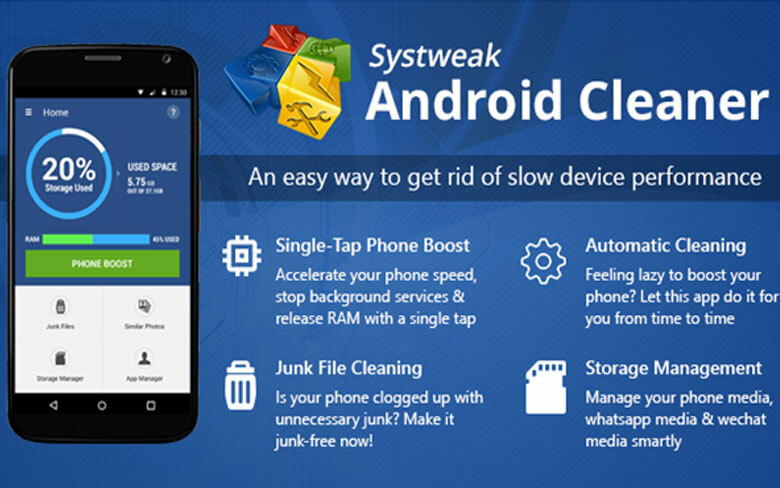 Systweak Android Cleaner is also a best android phone application, which can clean cache and boosts up RAM. It has a feature called battery saver, which close background apps that are not being used, and shows device temperature. This fantastic application detects other apps on your phone that are not in use so that you can uninstall those apps easily. It has one more option, which allows you to check all WhatsApp files in one place. It also has advanced features like junk remover, game booster, duplicate files remover, app hibernator, etc. to get the most out of your device. The cleaner is a lightweight junk cleaner app. It can help you in recognizing apps that ask for unnecessary permissions. You can schedule reminders to clean your device. It comes with a special system called memory optimizer with storage cleaner and game booster. It has an app locker so that you can lock those apps, which you want to keep secret. If you are looking for a light weighted cleaner app The cleaner is the best choice. 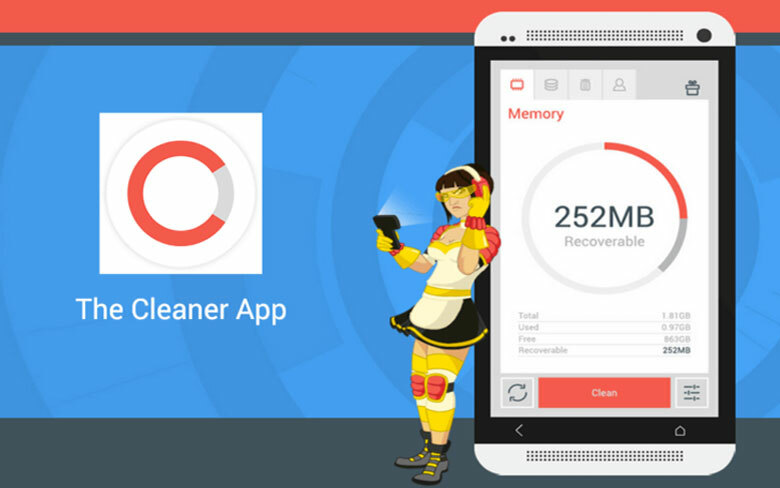 Power clean is a fast and effective android cleaner app. It has more than 2 million rating on play store which speaks about its success rate and easy usage. The app is capable of providing you the much-needed cleaning of junk files and caches with just one click and your mobile phone will be spared a lot of space. Although the app is free to use, it has a lot of ads display. It comes with many advantages which allow the user to turn off the junk notification along wide with the option to uninstall, backup and share the app. Not only this app comes with an app lock which protects your phone from unnecessary access but also phone health regarding space is continuously kept under the radar. 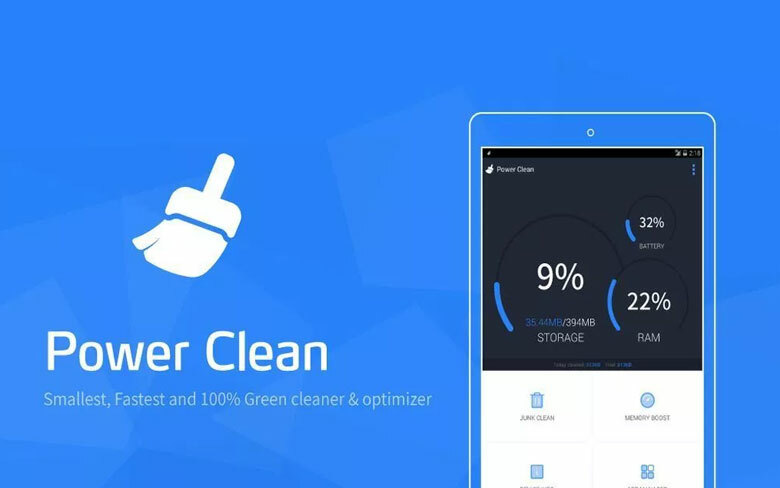 It another simplest yet highly effective android cleaner app which works by simply in the manner where it stops the unwanted apps from starting by themselves. With the usage of this app, your phone is likely to feel a lot lighter with maximum space and more optimization. 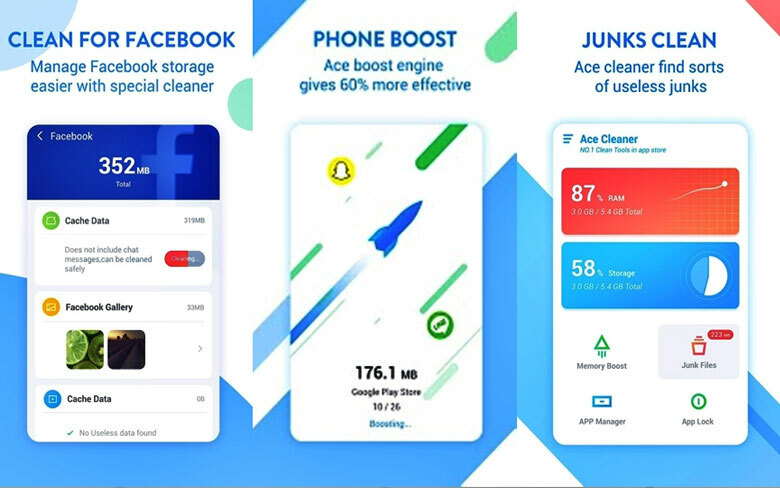 This app some of the very amazing features like CPU Cooler, Ace Clean, Ace Boost, Battery saver, Quiet Notification and others; Ace Cleaner is here to help us restore the positive and efficient working of the phone.it has another app where it can delete photo duplicate and provide you with ample storage. It also has a specialized tool for Facebook cleaning as well which can always come in handy. Furthermore, a DND mode for muting the notification. If you are looking for that perfect android cleaner app which will be removing the junk files, doing the work of anti-virus while boasting the performance of the phone; then Hi Security is the one for you. 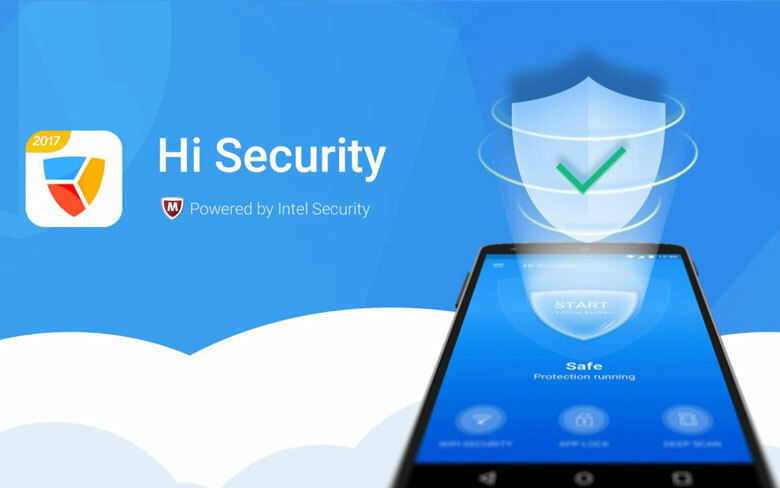 The installing of this app means that you are now attacked with a world-class cloud-based antivirus that focuses on providing you all healthy space and working for your phone. Again, it is a free app but loaded with display ads which keep coming again and again. It also has an amazing feature where you can put a lock on the WI-FI and also check the performance of the Wi-Fi as well. These are the Best Android Cleaner Apps Of 2019 to enhance the performance of your device. These all apps will surely give you the better experience of running the phone. You can now select the app, which you think is best. We have mentioned each and everything you should know before downloading any junk cleaner app. By downloading a good cleaner application, you will be able to use your phone smoothly without any hassle. You can do lots of work quickly with your phone like watching a movie or ordering Mens leather jacket. These apps will definitely make your all task easier.